to hit it on a straight line. You must then en­deavour to do so by reflection. 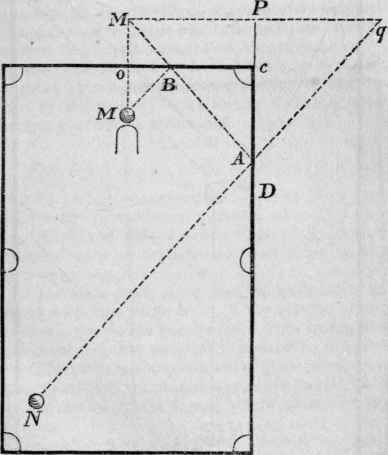 For that purpose conceive upon the side c d the perpendicular M o prolonged to m, so that o M may be equal to M m. Aim at the point m, and you will strike M, by reflection from c d.